Go on, admit it; you’ve always wanted to role play as Rick and Morty, Beth and Summer, Jerry… Well, maybe not Jerry. We can’t promise the dizzying heights of playing a game of Roy: A Life Well Lived, but if it means sitting around with your mates quoting the smartest man in the universe, we’re definitely down with that. 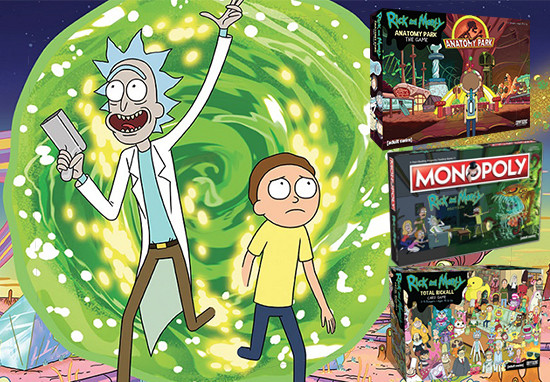 November sees the release of Monopoly Rick and Morty. But if you can’t wait for intergalactic property trading, and to be fair, it’s come a little quicker than getting hold of two tickets on SpaceX, check out these bad boys to help you get your Rick on. 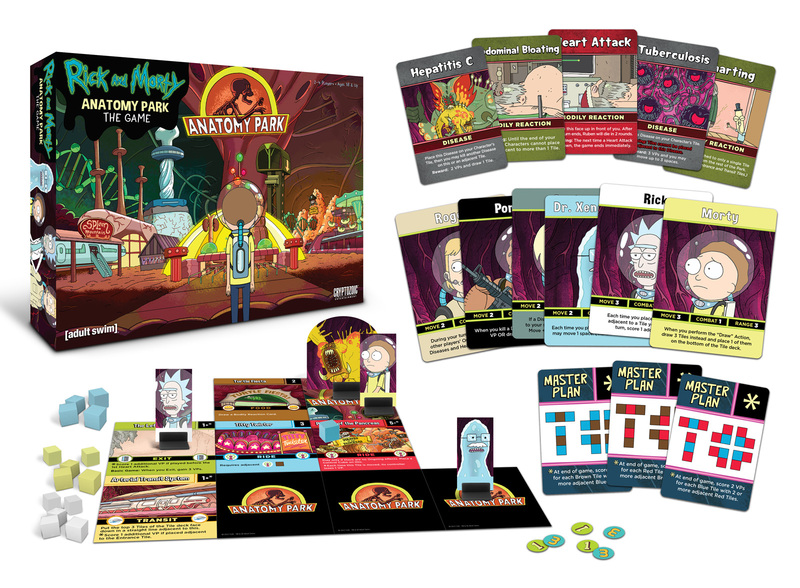 Cryptozoic Entertainment and Cartoon Network have teamed up to produce Rick and Morty: Anatomy Park where 2-4 players are transported into the body of Ruben, a department store Santa, in a theme park-building, tile-laying board game based on the third episode of the first series. Anatomy Park follows the release of last year’s Total Rickall Cooperative Card Game, based, unsurprisingly, on season two’s episode Total Rickall. The Smith family house has been invaded by parasites, and it’s up to you to figure out who should die. In the game, that is. 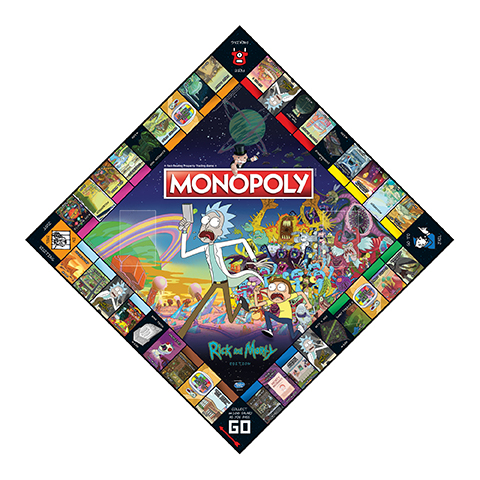 If you think your family games of Monopoly get feisty, you’ll wish you had a portal gun to zap yourself into a future reality, or October, for the release of the Rick and Morty Monopoly Edition. Players will be able to buy, sell and trade locations across the multiverse, and hopefully kill a few Cronenbergs. But forget playing as an iron or a dog, you can be a portal gun or Snuffle’s helmet. 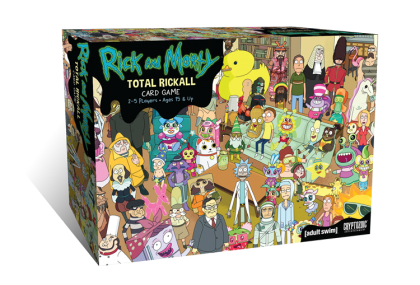 Total Rickall and Anatomy Park are both on sale now at various online marketplaces, and Monopoly Rick and Morty Edition is due to be launched in October. Lying, cheating and stealing. Classic family fun for all. And that’s before you’ve even broke the games out of their boxes.